The virtues of Capricorns are such that there will always be people for and against them. Many admire them, many dislike them. Why? It seems to be because of Capricorn’s power urges. A well-developed Capricorn has his or her eyes set on the heights of power, prestige and authority. In the sign of Capricorn, ambition is not a fatal flaw, but rather the highest virtue. Capricorns are not frightened by the resentment their authority may sometimes breed. In Capricorn’s cool, calculated, organized mind all the dangers are already factored into the equation – the unpopularity, the animosity, the misunderstandings, even the outright slander – and a plan is always in place for dealing with these things in the most efficient way. To the Capricorn, situations that would terrify an ordinary mind are merely problems to be managed, bumps on the road to ever-growing power, effectiveness and prestige. Some people attribute pessimism to the Capricorn sign, but this is a bit deceptive. It is true that Capricorns like to take into account the negative side of things. It is also true that they love to imagine the worst possible scenario in every undertaking. Other people might find such analyses depressing, but Capricorns only do these things so that they can formulate a way out – an escape route. Capricorns will argue with success. They will show you that you are not doing as well as you think you are. Capricorns do this to themselves as well as to others. They do not mean to discourage you but rather to root out any impediments to your greater success. A Capricorn boss or supervisor feels that no matter how good the performance there is always room for improvement. This explains why Capricorn supervisors are difficult to handle and even infuriating at times. Their actions are, however, quite often effective – they can get their subordinates to improve and become better at their jobs. Capricorn is a born manager and administrator. Leo is better at being king or queen, but Capricorn is better at being prime minister – the person actually wielding power. Capricorn is interested in the virtues that last, in the things that will stand the test of time and trials of circumstance. 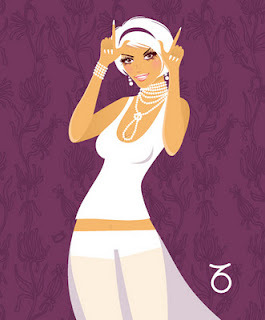 Temporary fads and fashions mean little to a Capricorn – except as things to be used for profit or power. Capricorns apply this attitude to business, love, to their thinking and even to their philosophy and religion.